Home / Politics / JOHN MBADI dares ODM MPs to impeach him for supporting Finance Bill 2018 – You are cowards and you cannot impeach me. 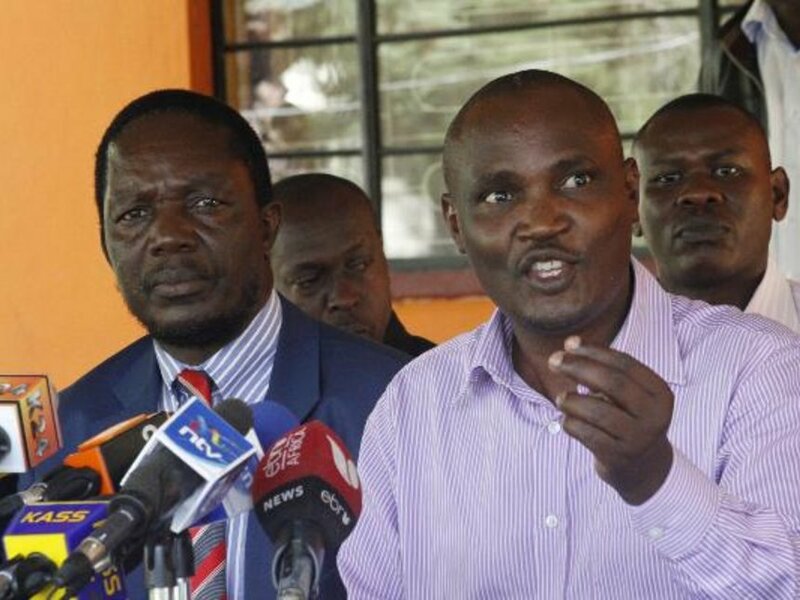 JOHN MBADI dares ODM MPs to impeach him for supporting Finance Bill 2018 – You are cowards and you cannot impeach me. Thursday September 27,2018-Minority Leader in Parliament, John Mbadi, has castigated MPs who are planning to impeach him, saying he is not going anywhere despite the threats. Last week, a section of ODM MPs threatened to impeach Mbadi as House Minority leader after he joined government in supporting Finance Bill 2018. But Speaking during a fundraiser at Nyandiwa Catholic Church on Sunday, Mbadi who is also Suba South MP said he would not allow any MP to intimidate him. “Some MPs are intimidating me. It is very sad that even those who did not elect me as a Minority Leader are campaigning for my ouster,” Mbadi said. He said he supported the Finance Bill 2018 because he knows very well that it will help the country settle foreign debts. He also said he supported the bill because even his party leader, Raila Odinga had ordered all ODM MPs to support the Finance Bill. The Finance Bill 2018 raised fuel prices by 8 percent. that's they ways to treat an arrogant dog!